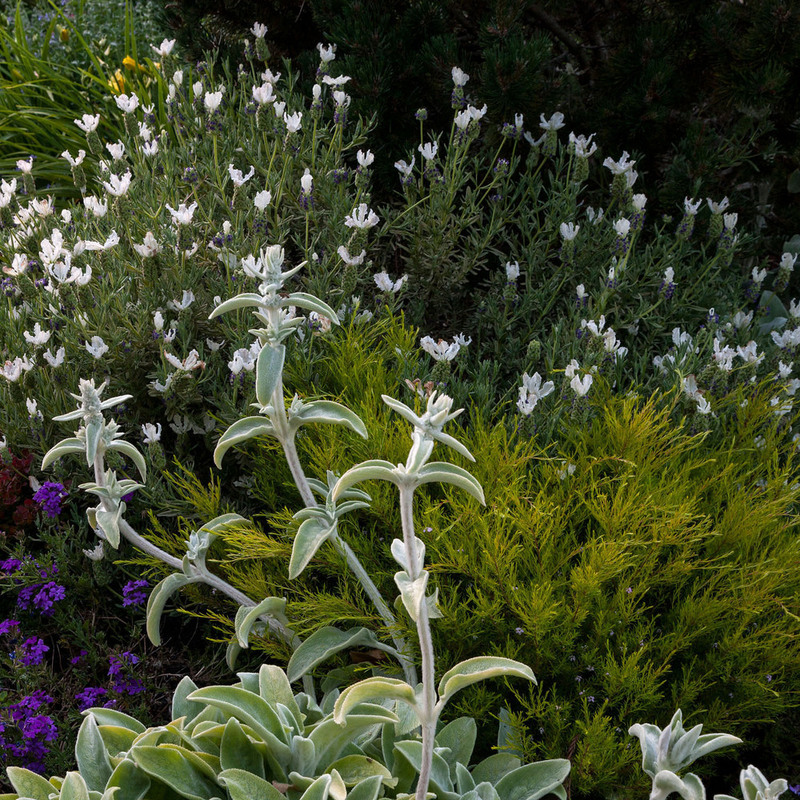 This naturalistic, meadow landscape combines native grasses and wildflowers with well-adapted Mediterranean perennials that provide long-season interest. Grouping plants by soil and watering needs (hydro-zoning), drip irrigation and permeable pathways all make this a water-wise planting. And many of the plants are hosts for butterflies or provide food and habitat for pollinators. Blueberries and huckleberries encourage the grandchildren to graze in the garden, while plums, avocados, citrus and herb plantings frame the homeowners' large squash and tomato patch. In addition to meandering paths, the meadow shade pavilion provides a place for the homeowners and friends to relax and enjoy the garden, nature and fresh air. It was designed to reflect the simple lines of the home's ranch architecture and features a gas grill, generous countertop, pull-up bar seating, a dining table and casual seating area. Ceiling fans keep the air circulating and help cool things off on hot days, while a portable heater extends gatherings on chilly evenings. With a pull-down TV, the family can enjoy watching games in the fresh air of a summer evening.